Since 1997, The Rev. 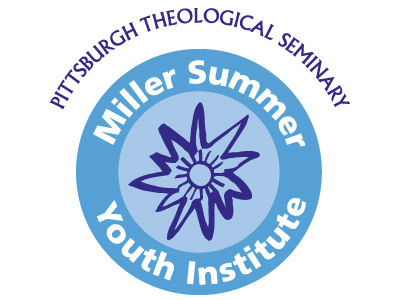 Dr. Roy F. Miller, Ph.D., and Mrs. Florence Lantz Miller Summer Youth Institute at Pittsburgh Theological Seminary has helped young people consider these two questions. Coming from Washington, D.C., to San Francisco, Calif., Canby, Minn., to Trujillo Alto, Puerto Rico, and everywhere in between, these students come from small parishes and big steeples, big cities and small towns, U.S. territories and Indian Nations, representing all walks of life and theological perspectives. We welcome you to explore our initiatives for youth and youth leaders. During this week-long program, teenagers who are rising high school seniors are invited to earn college credit while exploring what God is calling them to do and who God is calling them to be. This program currently meets at Waynesburg University (Waynesburg, Pa.). Learn more about our high school academy! Through on-site visits, SYI can provide programming for your youth ministry, or training for your youth leadership team. Let us know if we can be of service! SYI offers unique mission experiences for congregations seeking to explore ministry and mission work in a new way. Pairing the resources of Pittsburgh Theological Seminary with our ministry partners, SYI mission experiences will help your church rethink mission trips. Find out more about our Mission Experiences! The Summer Youth Institute offers summer internships for college students combining a wide variety of fields with innovative ministries. Explore our internship opportunities to see if they might be a good fit for you or someone you know! Written by SYI participants, the summer blog highlights what's happening throughout the week. Like us on Facebook to see what's new with the program. Facebook groups are also available for SYI alums. Search for your group by year.